Members, check your inbox this evening for the latest news and information. 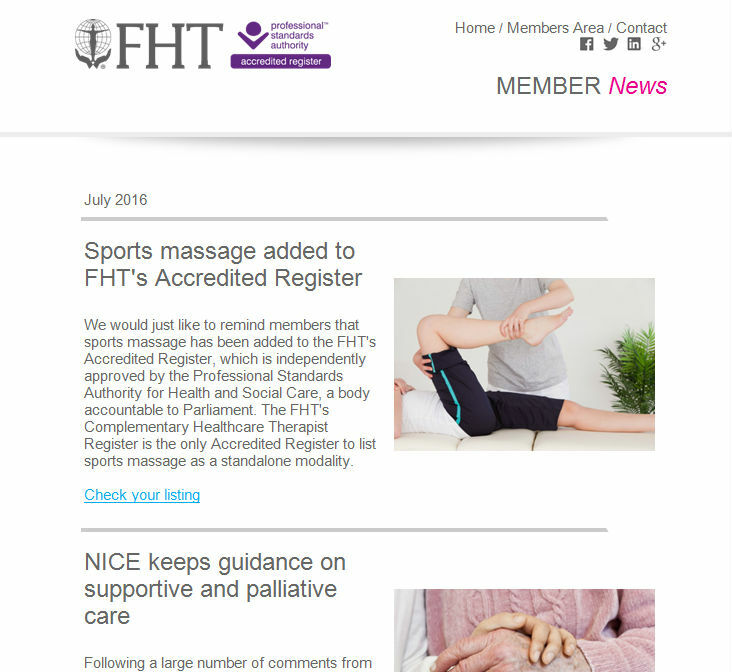 Posted on 5 July, 2016 by Federation of Holistic Therapists (FHT). This entry was posted in news and tagged news, newsletter. Bookmark the permalink.